The official second single from Nobody Famous' new album Order Up! Vol 3: Chicken and Waffles gets the Digital 12" treatment. As the digital format takes over today's market, there is still a want for the 12" vinyl singles that we used to buy. 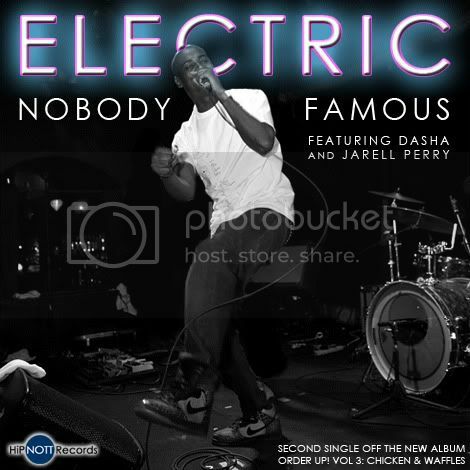 So today we offer you the single, "Electric" featuring Dasha and Jarell Perry in the same format that you would have purchased years ago in the record store, but in digital format. This free download will give you the album version, radio edit, instrumental, acapella, plus a previously unreleased bonus B-Side. Attached you will find the 12" cover art as well as a promotion vinyl image. Enjoy the free download link below courtesy of Nobody Famous and HiPNOTT Records. Look out for the official video to "Electric" coming soon! 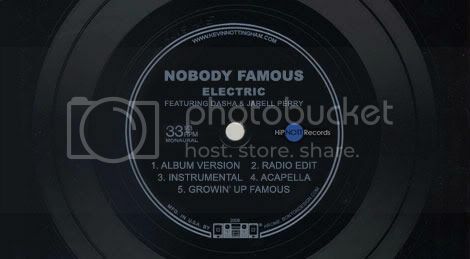 DOWNLOAD Nobody Famous - Electric Digi 12"